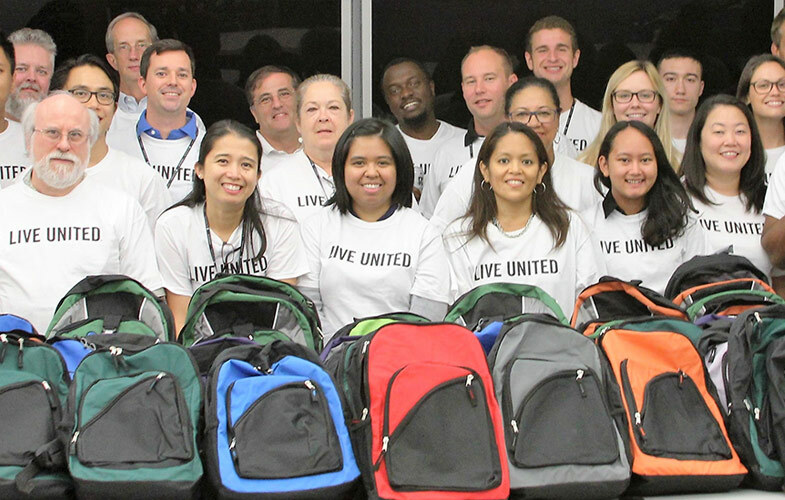 On August 3rd, 2016, 28 employees at Altamira Technologies Corporation came together to pack 100 backpacks for local middle school students and Stuff the Bus for those in need. The backpacks will be delivered to students in need at Hughes Middle School in Fairfax County, Virginia. We spoke with Altamira employees to see how the experience went! How was Stuff the Bus? How did you organize teams? Can you tell us about the connection between Altamira and United Way NCA? Why is it important for companies to engage in volunteerism and charitable giving? If you’re interested in helping us Stuff the Bus for 24,000 area children, veterans, and people experiencing homelessness, click here to learn more!